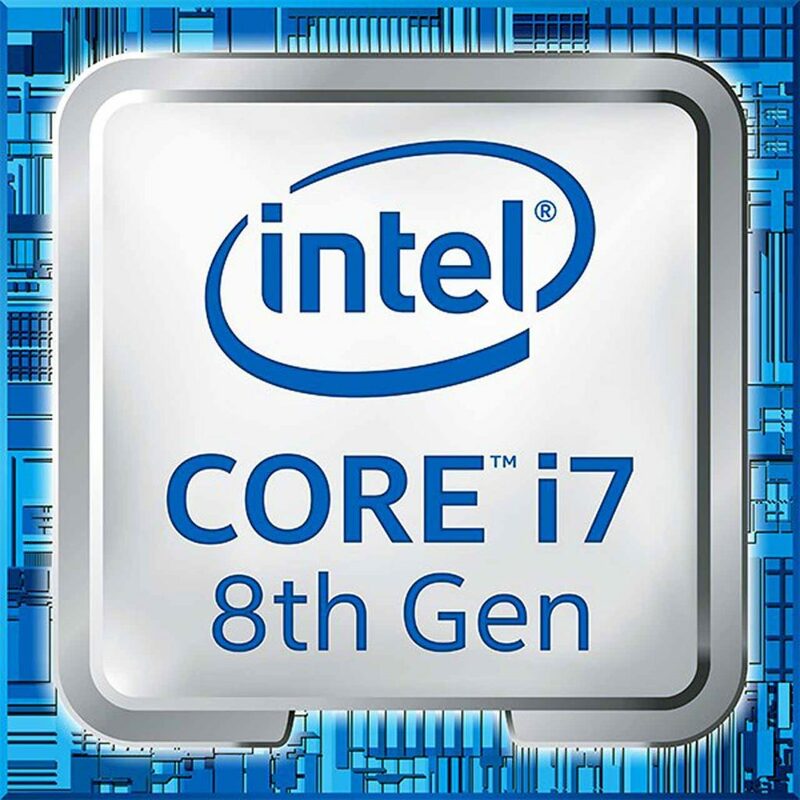 Intel’s 8th generation Coffee Lake processors bring the multi-generational upgrade to the market we’ve been waiting for. More cores for just about the same amount of money. Perhaps it was AMD’s Ryzen processors that forced Intel’s hand. Regardless, it only means good things for PC gamers. At the $1,000 price point we’re focused on having six cores and using a graphics card like NVIDIA’s GTX 1070. AMD GPUs are still a bit priced out of the market thanks to the popularity of Ethereum mining. If you’re not a power user, it makes a lot of sense to go with a Coffee Lake processor right now. 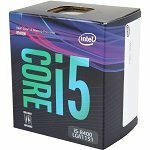 In the under $200 price point you’ve got the 6 core i5-8400. Compared to Intel’s previous generation i5-7400 it has an additional 2 cores and a max turbo frequency of up to 4GHz rather than the 3.5GHz of the i5-7400. Compared to the i5-7600k overclocked, the i5-8400 still comes out ahead in many games. Some power users might be thinking about picking up a 6 Core 12 thread Ryzen 5 1600 and overclocking it. Unfortunately, even with a killer overclock, you won’t be able to make up the ground here. The i5-8400 does a substantially better job even when used with AMD’s very own VEGA 64 GPU. Of course, you do have to consider the price of a Z370 motherboard and that of a B350 budget motherboard. However, we should see cheaper B and H series motherboards for Coffee Lake in the first quarter of 2018. As we’re sticking to a $200 budget for our CPU, we should have plenty of money for our additional components. Here are my thoughts on each. Here’s a look at our $1,000 build as it sits for this quarter. For more information on why each component was chosen additional information can be found below. If this build is out of your price range, also take a look at these affordable gaming computers. Keep in mind that GPU pricing is according to MSRP. Alternatives may be necessary depending on where the GPU market is when you build this PC. First of all, it’s important to point out that the GTX 1070 is around 15 months older than the RX VEGA 56. NVIDIA will likely release Volta graphics cards in the first quarter of 2018. Second, many VEGA 56 cards are overpriced from their original market values right now. With all of that being said, the GTX 1070 is still a fantastic performer right now. So, if you’re in need of a GPU and can’t wait for several months, it’ll definitely do a great job. If you come across this post when both of these GPUs are similar in price (which they should be), keep in mind the following benchmarks which show the cards trading blows. If energy efficiency is important to you, the GTX 1070 is the leader in that category. The GTX 1070 Ti is here and is positioned between the GTX 1070 and the GTX 1080 in our GPUs for the money. So, if you’re looking for a little more performance and a newer GPU right now, you’ll want to take a look. If you’re simply planning on running in 1080p at 60FPS or casually play games you may find that you can get enough out of the RX 580 or the GTX 1060 6GB. Both of these cards do a fantastic job of handling AAA titles in ultra settings this year and even some in 1440p. Unfortunately, the RX 580’s limited availability likely means that the GTX 1060 is your only choice here. Still, it’s a good card at a good price and should save you around $150 that you can put towards other parts. Keep in mind that if you’re using Coffee Lake, you’ll need a new 300 series LGA 1151 motherboard. Coffee Lake is not backwards compatible with previous generations. 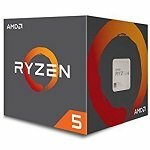 If you go with something like the Ryzen 5 1600 instead here, a cheap B350 motherboard like the MSI PC Mate would be a good choice here. I wish we could go with a cheap H or B motherboard here. Keep in mind that if you end up doing that in a few months, you can only use up to 2666MHz memory. So, you might want to go with something cheaper than I’ll list here. The best alternative to an H or B motherboard is an inexpensive Z370 board. 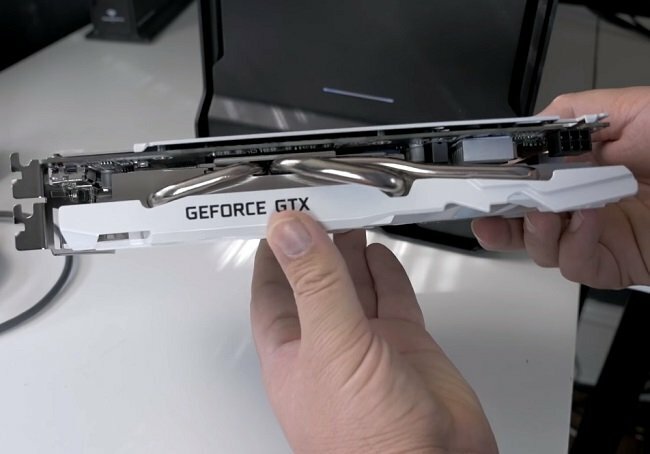 Fortunately, we get a ton of features even on the lower-end side of Z370. The ASRock Z370 Pro4 is our choice here. It features plenty of expansion slots including 2 x Ultra M.2 sockets and the Realtek ALC892 chipset. Not bad for a $120 board. Other features include 10 Phase, Digi Power, Intel LAN, M.2 Key E, Triple Monitor, and RGB lighting. We want something fast and inexpensive here so we’re going with a 250GB Western Digital M.2 drive. Throw in one of your old hard drives if you need additional capacity. If you need additional storage and can’t afford above $1,000, you’ll likely need to cut the cost of the GPU here. We’ve talked about what we think is the best DDR4 memory for the money in the past. And even though it would be nice to go with 16GB of memory here, it simply isn’t possible with our budget and the current inflated price of RAM. So, we’re going with Corsair Vengeance LPX 3000MHz memory. The faster speed should give you some additional performance here and doesn’t cost that much more. If you end up going with an H series motherboard in 2018, buy the cheaper 2666MHz RAM. Even with a $1,000 budget, it seems well worth it to get a good power supply here. Stable power and longevity are just a few of the reasons. Seasonic makes quality options that I put high up on our tier list. However, the EVGA G series is typically the overall best value here. The CS 550M would be an additional alternative here. There are any number of cases that would work here, but the one drawing my attention the most this month is the Corsair 100R. At around $50 it gives you a lot of value for the money and has plenty of space for the parts we’ve chosen. Still, if you’re building right now, the Ryzen 5 1600 is more available and has a wider variety of motherboards to choose from. Regardless, you end up with a processor that more than capable of driving a graphics card that we can afford at this price point. Overall this setup gives you a decent motherboard CPU and GPU combo for what you spend. Overall, I feel like our $1,000 build is a good place to start for gamers looking for a Coffee Lake processor that want to maximize performance and value. See the chart above for the entire build as well as some additional thoughts and insights.